The intrinsic extension of your every action, anticipating your comfort, your lifestyle and what’s ahead. 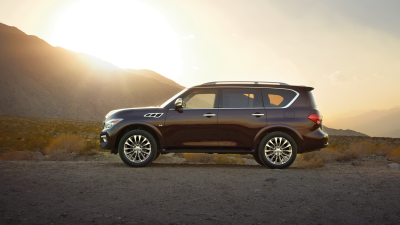 The expansive interior of the Infiniti QX80 was astutely designed to adaptits volume to your needs. 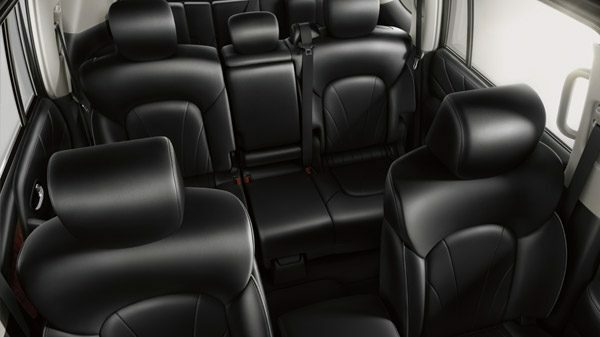 The 60/40 split folding third row and available fold-down second row bench seats can arrange for any combination ofup to 8 passengers and cargo. 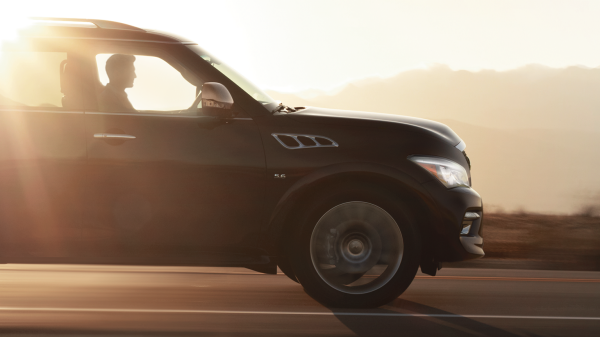 Fold them all down and your QX80 can accommodate up to 95.1 cu-ft of cargo with a virtually flat floor area. 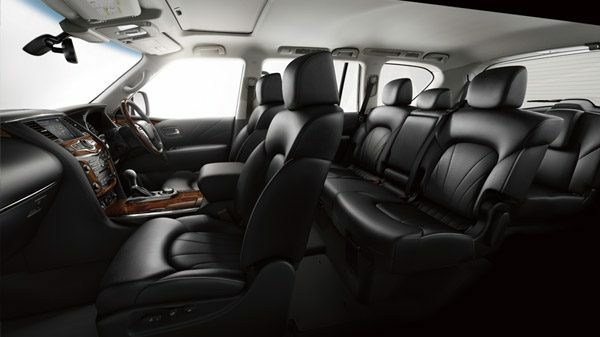 Experience your own personal entertainment. 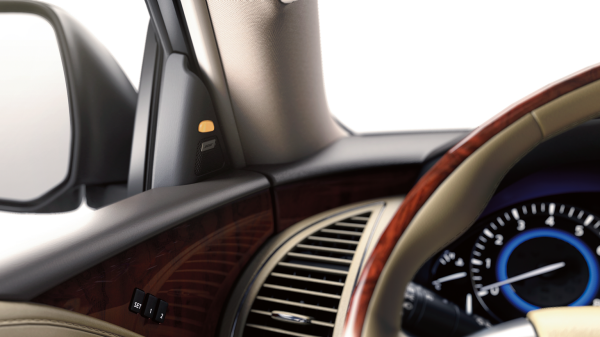 With dual 7-inchscreens, 2nd-row passengers can play their own movies or games,even while those in front enjoy music. To keep items organized,designers planned spaces for the wireless headphones and remote,as well as the entertainment you bring with you. 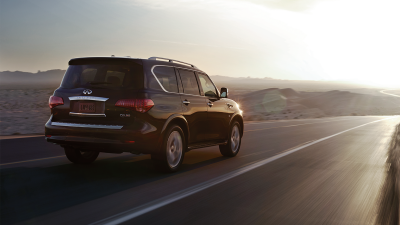 Distance Control Assist ingeniously works with Intelligent Cruise Control by anticipating the flow of traffic. With a preset following distance selected to the vehicle ahead, it helps maintain it by applying the necessary power or brakes. 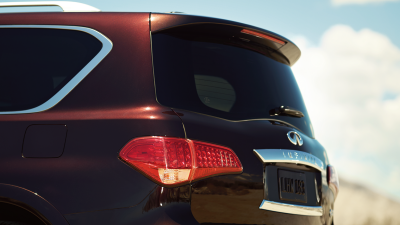 To help you anticipate what's next, Forward Collision Warning scans the road while working in conjunction with Intelligent Brake Assist to automatically apply the brakes—reducing collision speed and impact in the event of a collision. 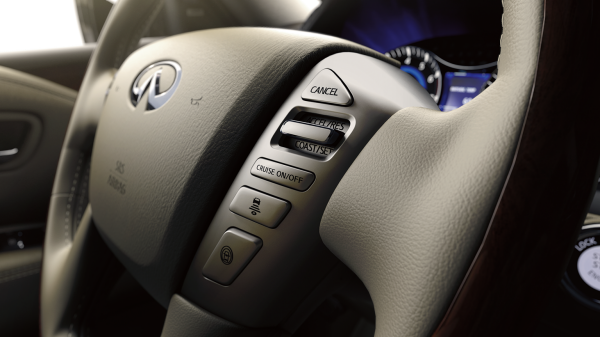 Infiniti’s intuitive Blind Spot Warning System helps alert the driver tovehicles detected in the blind spot area. An indicator light illuminatesif the presence of another vehicle is detected in the blind spot area.If the driver engages the turn signal, the indicator flashes and anaudible warning sounds. Lane Departure Prevention (LDP) warns if it detects you drifting from your lane. If the drift continues, it lightly applies selected brakes to help ease you back. But you never give up control. It’s designed to assist, not override.